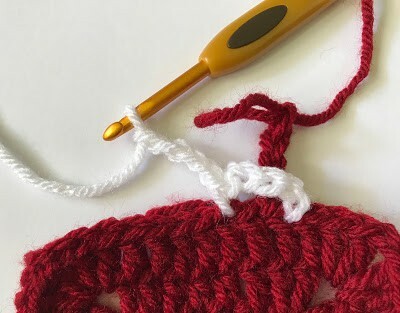 The Candy Cane Stripe Border is a fun festive border for your crochet projects! 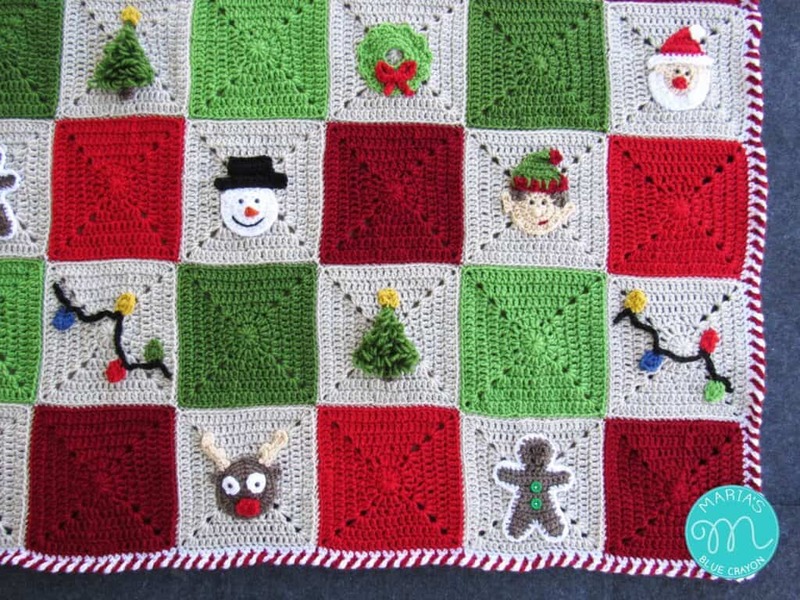 The first thing that comes into my mind is that this would make a fun border for a Holiday themed project, but you can change up the colors and use it for any project. Below I will have some photos to guide you through the striped border. There is also a video tutorial at the end of the post. 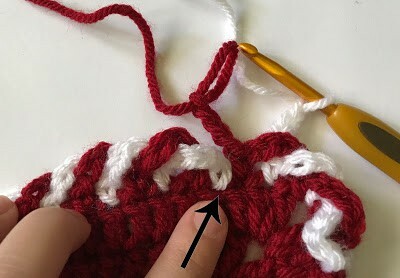 For the striped border, do not crochet the chains too loosely. 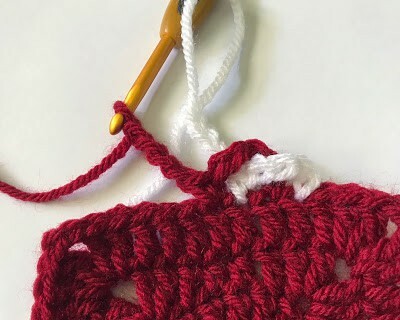 If you tend to crochet very loose, you may want to drop a hook size. The striped border will involve going back and forth between the white and cranberry yarn, because of this the yarn may get very tangled. Make sure to untangle every so often. 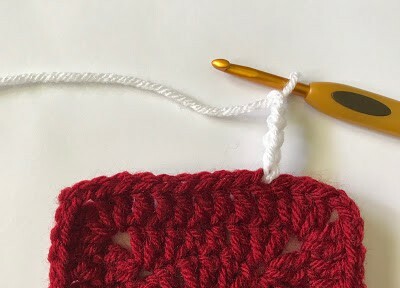 When making single crochets, make sure the color you are working with goes in front of the other colored chain. 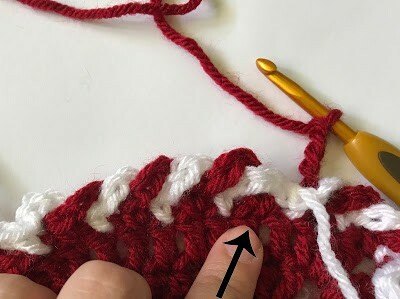 For the striped border you will need two different colors. In the photo tutorial I am using white and cranberry worsted weight yarns with an I hook. 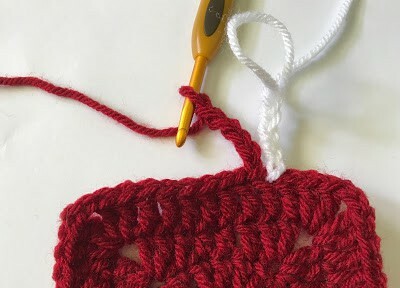 Before you begin the striping border, it may be favorable to single crochet all around your project beforehand. Continue to repeat steps 3 and 4, do this all the way around the perimeter of the afghan. How many chain 4s go into the corners? Good question! In each corner there should be 4 "chain 4's"